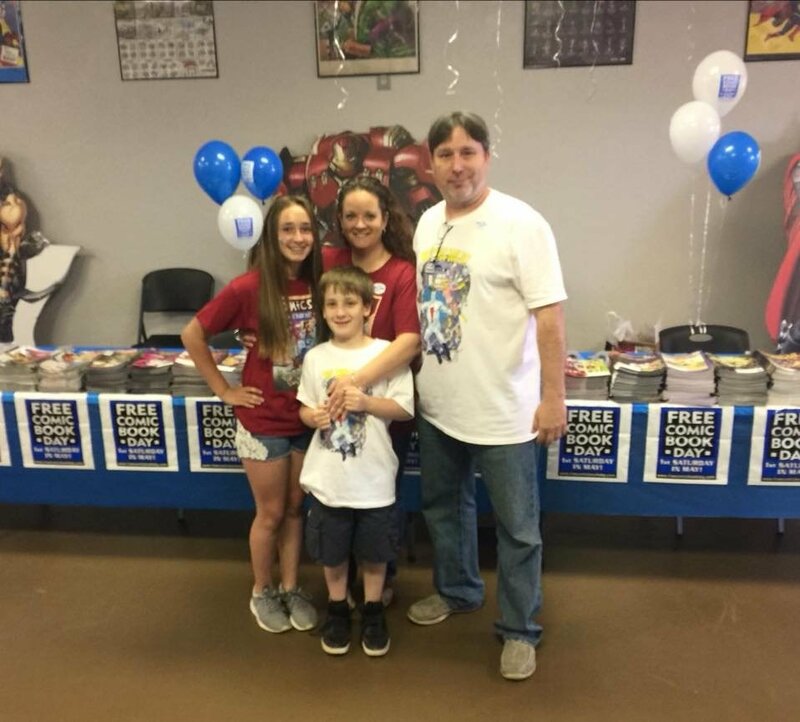 We are a "Mom & Pop" Comic Shop! Family owned & operated! We love comics and we love gaming! We carry a wide variety of New Release Comic Books, Back Issues, Graphic Novels, Action Figures, Statues/Busts, Board Games, TCGs, Comic Collecting Supplies, TCG Supplies, etc. If we don't have what you're looking for just let us know & we'll do our best to get it in for you! We also host a wide range of table-top games! From Heroclix to Warhammer 40K to Pokemon to Dungeons & Dragons we almost always have something going on in the game room! Check our event page for the gaming schedule! Any questions or suggestions? Please just use the "Contact Us" page!